Something strange has begun happening to many of Google's OnHub and Wifi routers. The units are refusing to broadcast WiFi signal, and are requiring factory resets to function properly again. 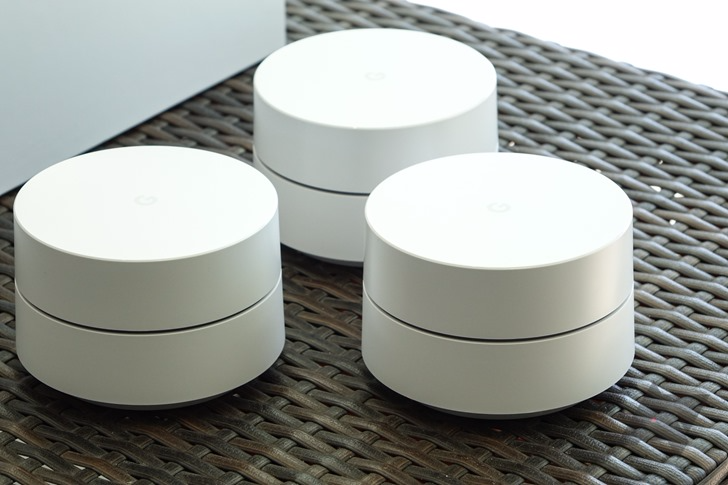 Many people refuse to use OnHubs or Wifis because Google has too much control over them, and it seems like they'll have a little more ammunition to use in arguments against these cloud-connected devices now. According to many owners on Google's Product Forums and the subreddits r/OnHub and r/GoogleWifi, the devices have stopped providing WiFi altogether - clearly a major issue. For most owners, the primary routers are displaying the setup SSID and their LEDs are flashing blue, while mesh points are flashing red to indicate that they aren't connected. Even after going through the entire setup process again (which a few people are having trouble even doing), some users are reporting that their mesh points are still having trouble reconnecting. Interestingly, a few owners are also reporting that their Google accounts were signed out of services such as Chrome and Gmail. For obvious reasons, owners are not happy at all. Many users speculated that Google had sent out a botched update of sorts, but the Wifi team has stated that none were pushed today. One user has complained about the failure of his Wifis bringing down his entire store and has allegedly already received return labels from Amazon for them. Loads of users are angry about having to stay on hold with customer support, and are unhappy with receiving little transparency from Google on the issue. It's still unclear what exactly caused this many systems to fail seemingly simultaneously. If you're being affected by this issue, Google Wifi reps are encouraging users to simply use the default SSID and password on the bottom of the router to get back onto the Internet for now. However, the issue has yet to be completely resolved. This afternoon, users have reported that they are experiencing issues with their Google Wifi and OnHub devices. Our team is aware of the issue and is investigating the cause right now. We will reach out to provide more details and information soon. This issue is not update-related (no updates were pushed today) and is not only affecting Google Wifi. We are continuing to investigate the source of the issue. If you need wifi immediately, you can use the credentials at the bottom of your Google Wifi device to access the internet. Connect to the setup network on your devices and you should be able to access the internet in the meantime while we work on fixing this issue. Thank you for the patience over the last hours. Unfortunately, if you have experienced this issue you will need to setup your network again. Please see this Help Center article with more info on the issue and how to setup your devices again. We will also be sending an email out soon to all those affected. We will continue to update this forum and the Help Center article with more info. Unfortunately, when a device factory resets, all network settings and data is erased. This means that you will need to set back up your network as you did before, including device names, DNS settings, etc.. We know that this is not necessarily an easy or quick process for many of you with complicated network setups, but unfortunately this is the only way to setup your network again. 1. Hardwire the OnHub/Wifi point you want to add to the primary point with an ethernet cable. 2. Once connected together, connect to the setup SSID of the Wifi point you want to add. 3. Open the app and select “add wifi point to the network”. 4. Despite being on the setup network, this should still force the primary point to activate it’s mesh network and let the two points find each other. 5. You should receive a prompt to disconnect the ethernet cord from the child point to proceed with the mesh setup. By this point you should be able to complete setup. We will continue to provide updates with more information and solutions as we learn more. Thank you again for your continued patience. Google has put up a support page dedicated to the issue. As many of you suspected, the root cause for the resets ended up being improper handling of errors in responses from the Google Accounts auth servers. Evidently, OnHubs/Wifis ping the auth servers from time to time, but unexpected responses (such as error 500) prompted resets instead of no-ops. Google has not yet provided assurance that the issue would be addressed in a future update, but we can only assume that the Wifi division doesn't want to end up with its pants down more than once. Today we experienced an issue with our Google Accounts engine that may have affected your Google Wifi or OnHub device. This caused some devices to automatically reset to the initial state you bought them in. Unfortunately, these devices need to be set up again. We'd like to share our sincerest apologies for the inconvenience. The steps below will guide you through re-setting up your Wifi points. If you set up your Wi-Fi network with the same network name and password as before, your personal devices should automatically reconnect.